Samantha Davies, the talented british yachtswoman based in France, raced the 220 nm cross-channel “Transmanche” last friday and arrived in a time of 13h30m, 15 minutes from the record set by Sébastien Josse (13h14m), a french skipper based in Brittany. The courageous sailor, who’s sponsored by MaxSea and Furuno, didn’t beat the record but had the chance to run many weather routings with the help of her MaxSea TimeZero software. The weather wasn’t good to her Savéol boat, just as the routing predicted, so it was at least a great training for the races to come, particularly the Vendée Globe. The information offered by the Routing module was accurate, a crucial and sometimes painful point in sailboat racing. “Last Friday we raced the Transmanche on board Saveol. The course is simple: L’Aber Wrac’h – Plymouth breakwater – L’Aber Wrac’h. For the IMOCA 60s the race is a “time trial” format, and the record to beat is Seb Josse on board BT – 13h14minutes. I was joined by Erwan Lemeilleur and Roger Capitaine for the race. La navigatrice britannique Samantha Davies va être maman ! En effet, Sam et son compagnon, le navigateur Romain Attanasio, attendent l’arrivée d’un petit garçon pour le mois de septembre 2011. 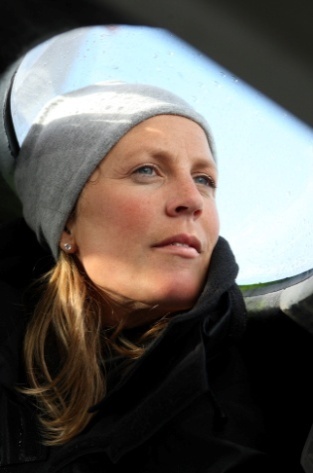 A 36 ans, celle qui fut l’héroïne du dernier Vendée Globe dont elle prit finalement la 4ème place, s’apprête donc à vivre une nouvelle aventure qui l’éloignera quelques mois des pontons.